Although the literature contains reports of very high accuracy figures for the recognition of named entities in text, there are still some named entity phenomena that remain problematic for existing text processing systems. One of these is the ambiguity of conjunctions in candidate named entity strings, an all-too-prevalent problem in corporate and legal documents. 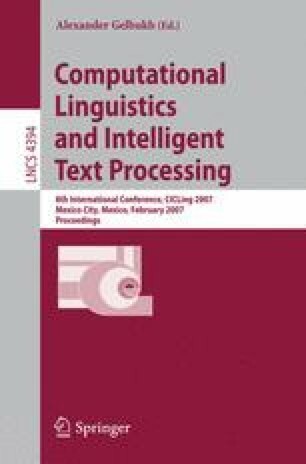 In this paper, we distinguish four uses of the conjunction in these strings, and explore the use of a supervised machine learning approach to conjunction disambiguation trained on a very limited set of ‘name internal’ features that avoids the need for expensive lexical or semantic resources. We achieve 84% correctly classified examples using k-fold evaluation on a data set of 600 instances. Further improvements are likely to require the use of wider domain knowledge and name external features.